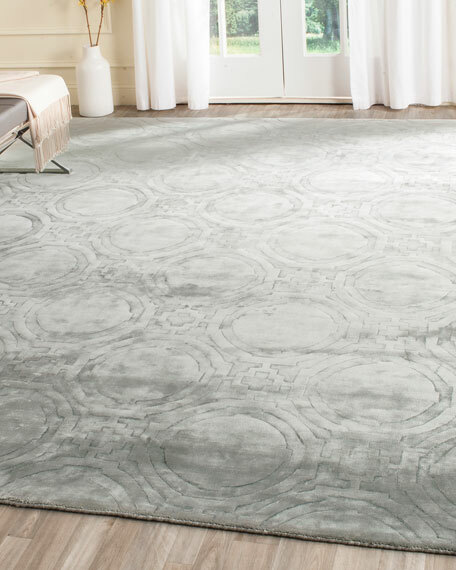 This rug evokes images of Hollywood glamour with lustrous tone-on-tone and cut pile motifs crafted of sustainable viscose yarn to emulate the look and feel of silk. Subtly patterned and hand-loomed in India and rich in textural interest. 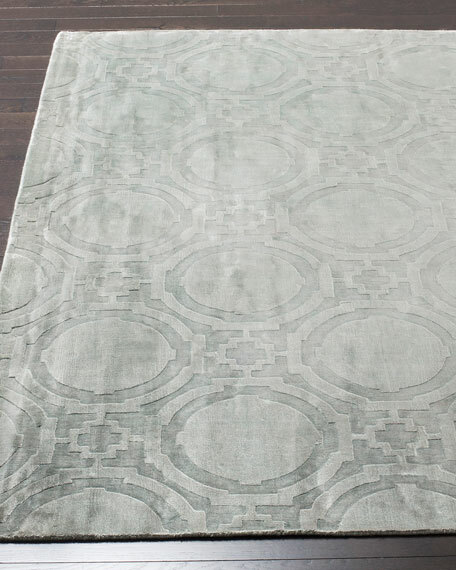 Handcrafted, transitional low-cut pile rug. Boxed weight, approximately 52 lbs.